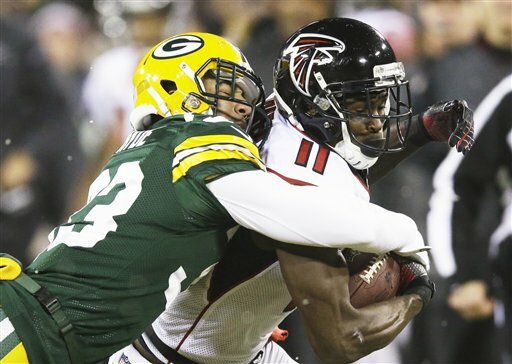 Despite having a 21-10 lead heading into halftime, the Atlanta Falcons failed to score in the second half and lost 22-21 to the Green Bay Packers in Lambeau Field. 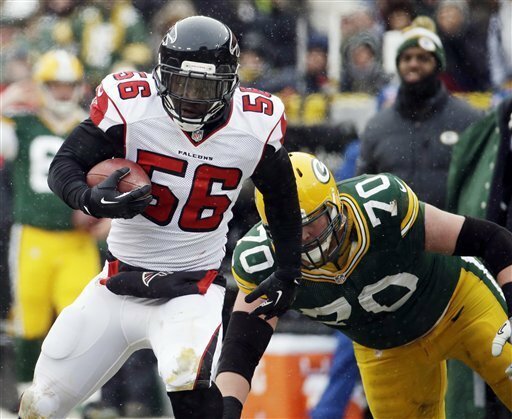 With :32 remaining in the first half, Falcons linebacker Sean Weatherspoon intercepted a Matt Flynn pass that was deflected off Paul Worrilow’s foot and rumbled 71 yards for the touchdown. After beating the Seattle Seahawks in the divisional round of the playoffs last week, the Atlanta Falcons will host the San Francisco 49ers in the NFC Championship Game on Sunday at 3:00 p.m. EST. To no Falcons fan’s surprise, Atlanta are underdogs in the match-up. In any case, there are three ways the Falcons can at least give themselves a chance at defeating the 49ers and advancing to Super Bowl XLVII. The Atlanta Falcons will host the Seattle Seahawks in the divisional round of the playoffs on Sunday, January 13 at 1 p.m. The Minnesota Vikings lost to Green Bay 24-10 on Saturday, and the Seattle Seahawks defeated the Washington Redskins 24-14 tonight. 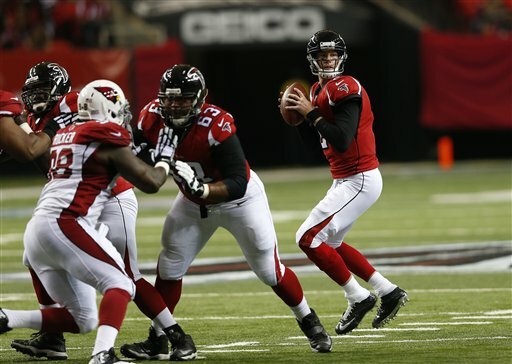 As the top seed, the Falcons host the lowest-ranked remaining playoff seed. Minnesota had the sixth seed, and Seattle the fifth. Washington was the fourth seed. I thought the Falcons would have the best chance against the Vikings. With that said, I think the Falcons will be able to handle the Seahawks in similar fashion. The divisional round match-up preview will be available Thursday. Who Should the Falcons Want to Face in Divisional Round? As the number one seed, the Atlanta Falcons will host the lowest-seeded wild card winner from this weekend in the divisional round next Sunday. The Washington Redskins have the number four seed; the Seattle Seahawks have the number five seed; the Minnesota Vikings have the number six seed. The Atlanta Falcons just needed to defeat the Detroit Lions in order to earn home-field advantage throughout the playoffs, and they did just that. Matt Ryan led the Falcons (13-2) to a 31-18 victory, tossing four touchdown passes – two to Roddy White and one each to Julio Jones and Michael Palmer – in the process.